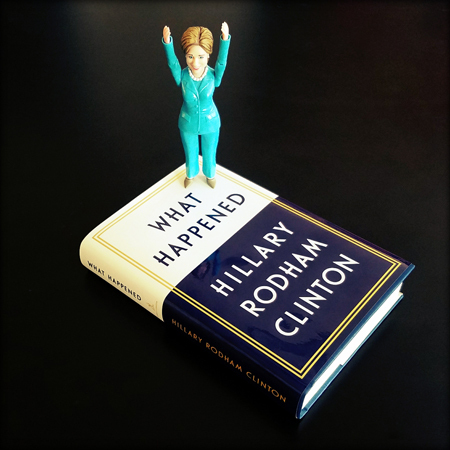 This is the seventh installment of the What Happened Book Club, where we are doing a chapter a week. So! Let us continue our discussion with Chapter Seven: Motherhood, Wifehood, Daughterhood, Sisterhood. This was a very interesting chapter for a number of reasons, not least of which is that Hillary wrote it so deftly. It was the same voice, her voice, as every other chapter of the book, but there was a subtle shift in tone that underscored the intimacy of the relationships she was exploring. It was a reminder, for those of us who cared to take it, that we don't own the entire lives of public figures. No matter how much our culture of judgment may exhort us to opine on every aspect of their lives. For those of you listening to the audiobook, I can imagine how deeply moving it was to listen to Hillary in her own voice talk about these most important relationships in her life. It was moving to read. I particularly loved reading her write about her fondness for children, and I recalled all the amazing photos of her along with campaign trail with girls and boys, and I got weepy all over again that she isn't their president. And, because my most present family relationships are with my family of choice, I was incredibly moved by her section on friendship. The very last words of the chapter may have been my favorite: "I don't believe any of us gets through life alone. Finding meaning and happiness takes a village. My friends have been my village. I wouldn't have it any other way."